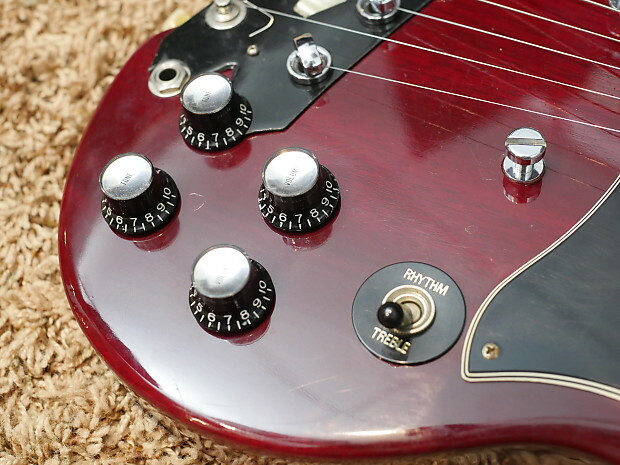 See, Hear, Learn About and Experience your new guitar... before you buy! 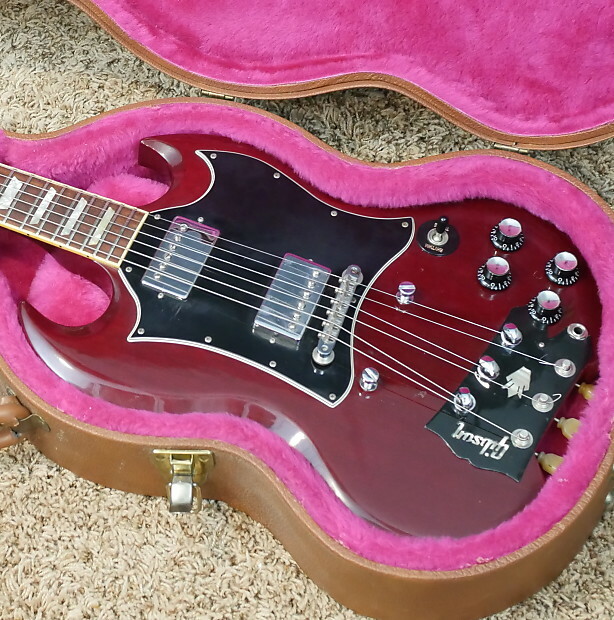 This guitar comes with it's original Gibson USA Brown Case with pink interior. 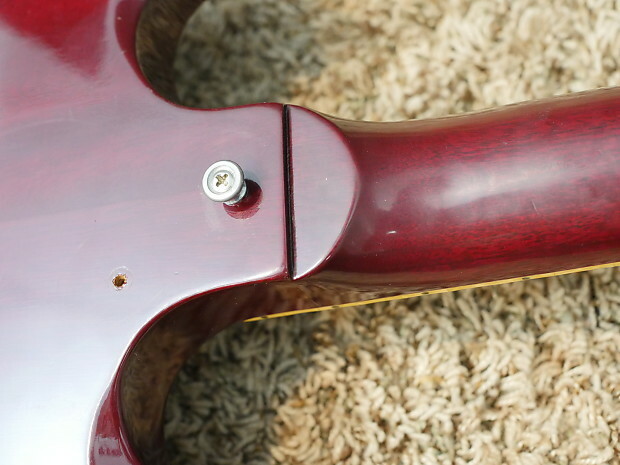 The bottom latch is missing the loop to secure the lid down, but the other 2 latches and 1 combo lock are still functioning just fine. 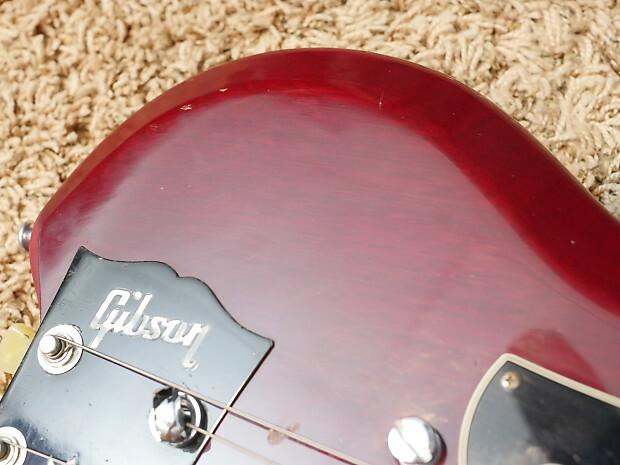 There are stickers, scuffs and scratches on the outside, but the case is in good shape and protects the guitar well. 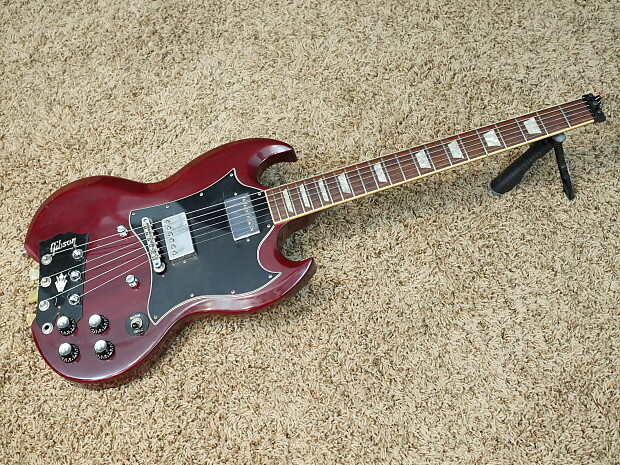 This guitar is an internet legend. 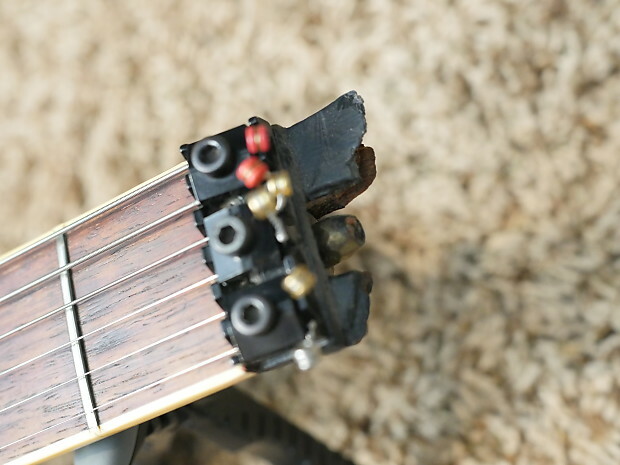 The Guitar Meme - if you will. 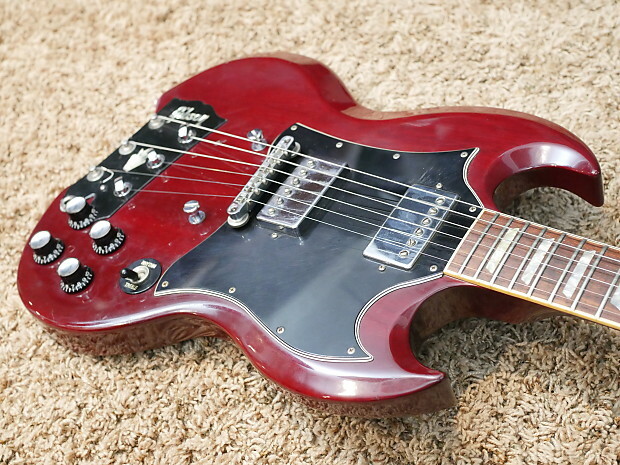 Photos of this mythical guitar surfaced around 2011 and since then this guitar has wound up on every 'top 10 strange guitars' list that has ever been published. 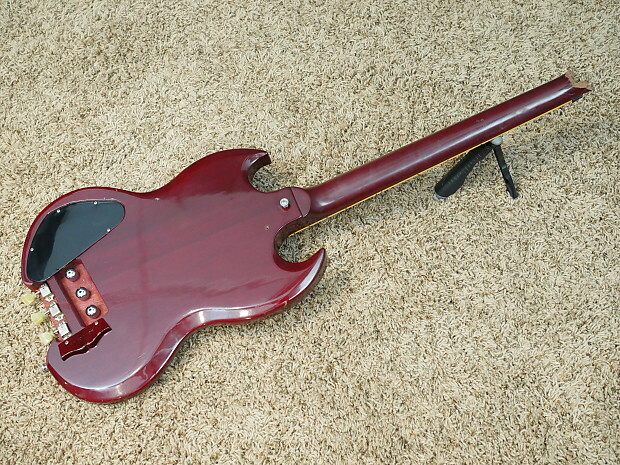 Until today, no one really knew if this was a real guitar or if it was just an awesome photoshop job. How did I find it? 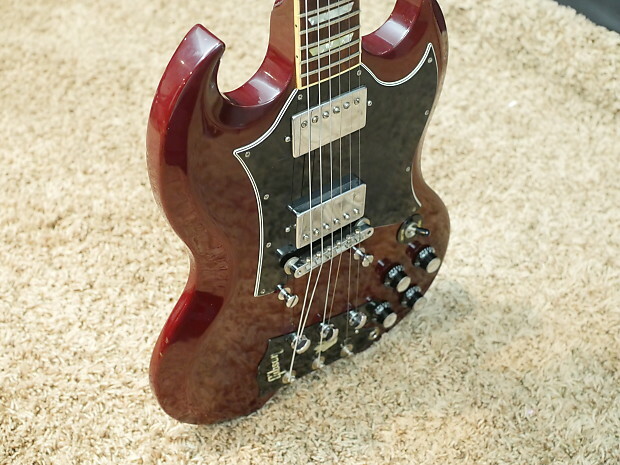 Well, I made a Would You Rock or Not video on my YouTube Channel about this guitar awhile ago and the owner reached out to me. 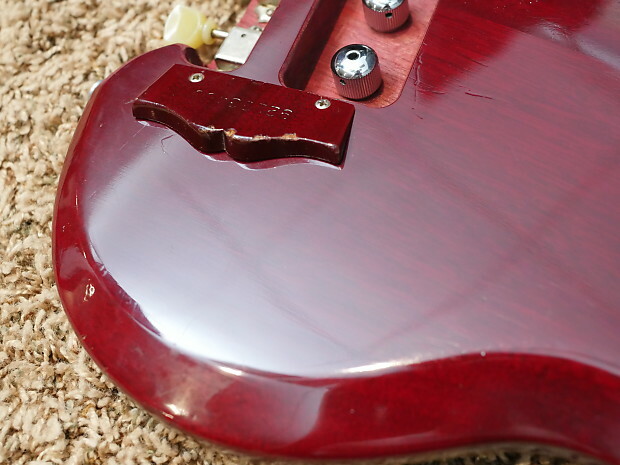 I bought it for the purpose of documenting it - the internet needed answers to this guitar. 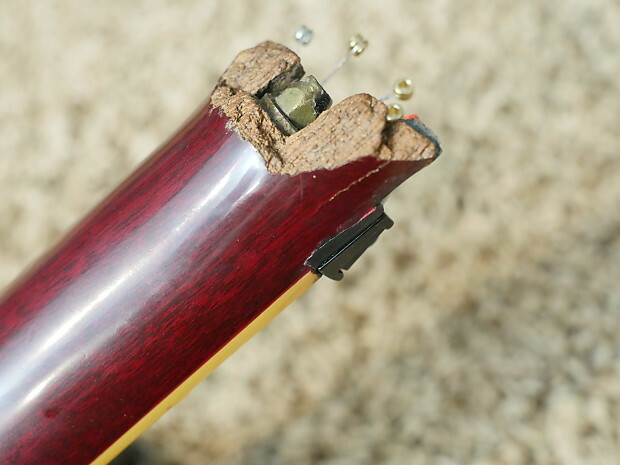 This is a 1993 Gibson SG that suffered 2 headstock breaks. 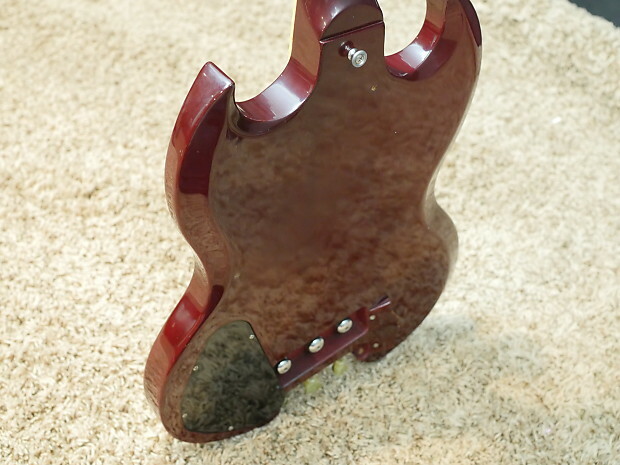 Since there was so much wood missing from the headstock, the new owner of the guitar decided to make the 'headless SG' instead of repairing it again. 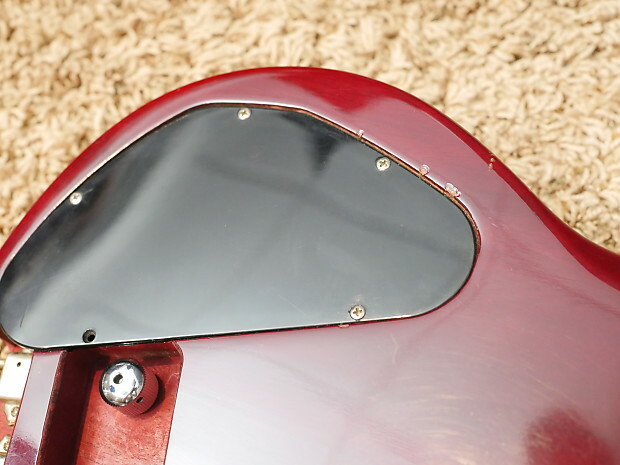 The original headstock veneer was glued to the body and the back of the guitar was routed out for tuners. 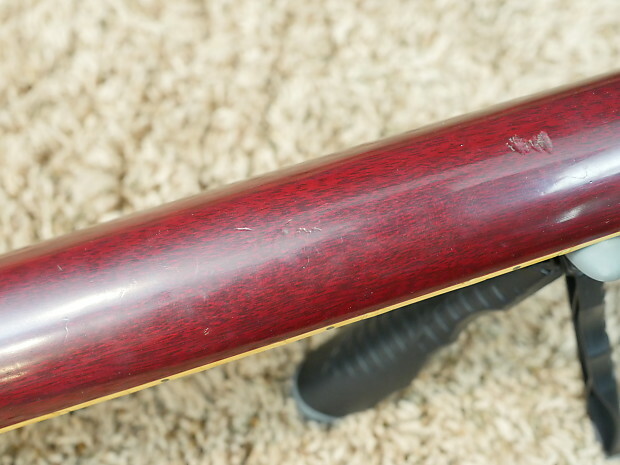 The original serial number section of the headstock is drilled into the guitar to complete the look from behind. 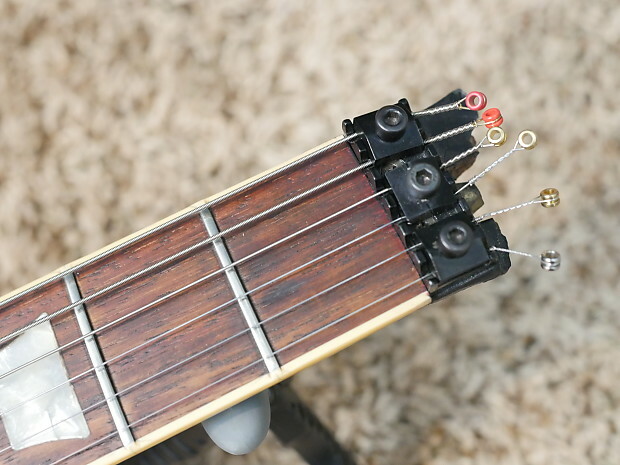 This guitar utilizes 3 gearless Steinberger tuners and 3 Kluson style. 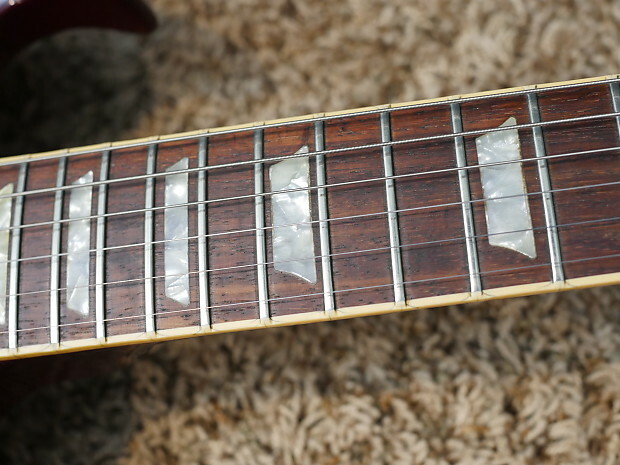 The guitar plays well and stays in-tune for the most part. 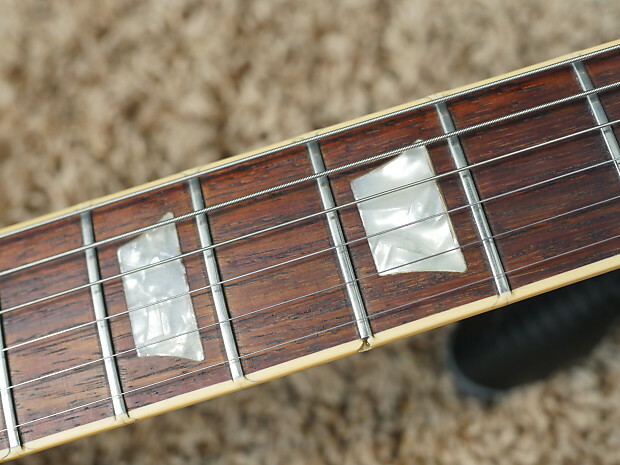 You've got to tweak it quite often, but since the original bridge posts were left intact, that gives you some options as far as correcting the string angle to make this a recording worthy guitar. 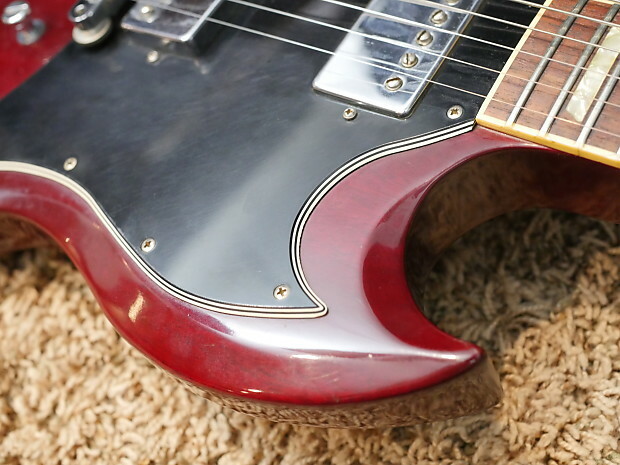 As it sits now, it is a lot of fun to play and is definitely an attention getter at a gig. 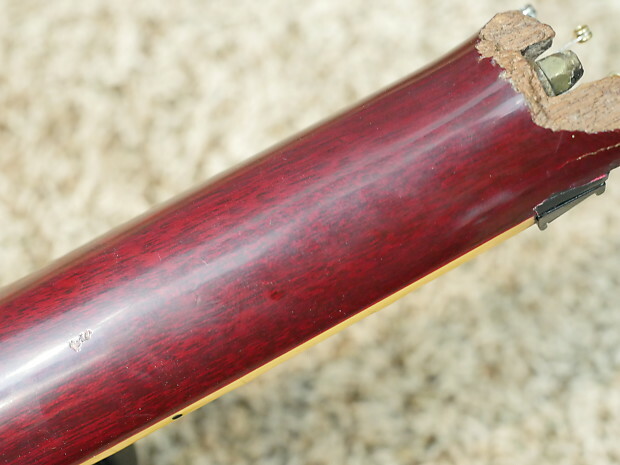 This guitar has wear and tear all over. 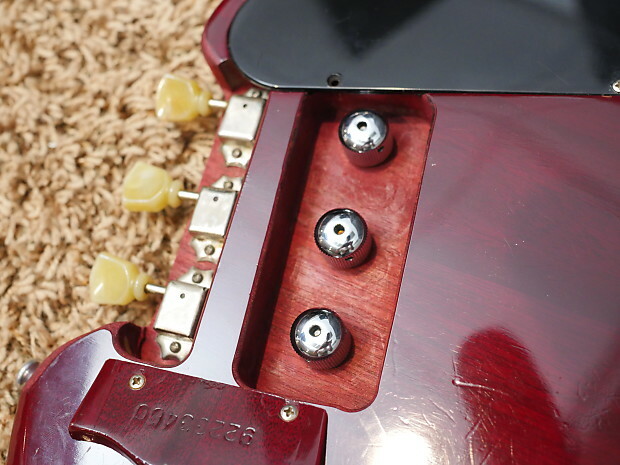 You can see that during the condition portion of the video tour. 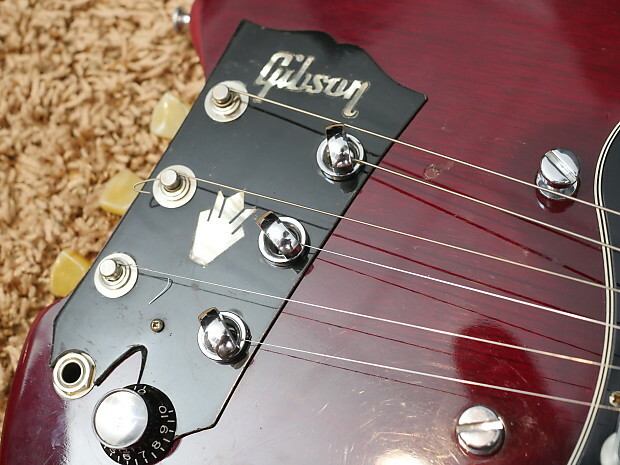 This guitar is famous. 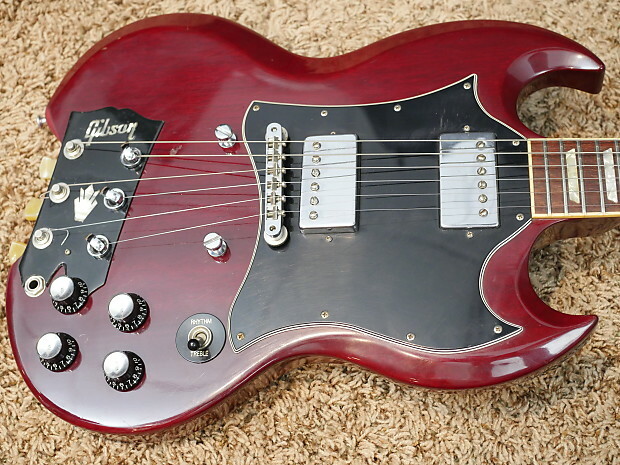 Everyone around the world that is into guitars has seen this one at some point in time. It would make a fantastic addition to your collection. 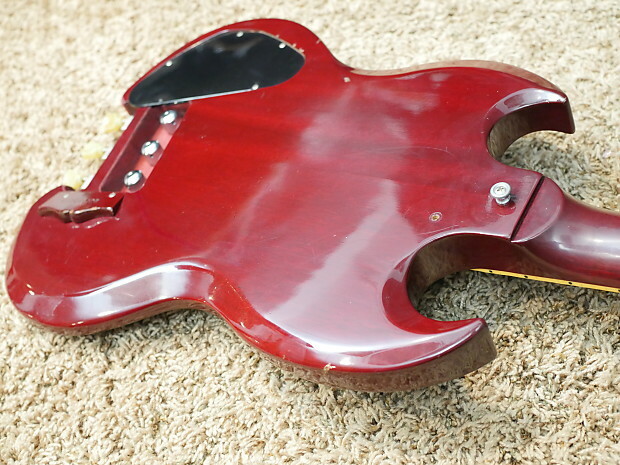 There might be other 'imitations' made of this guitar - but this is the 'original' headless SG. 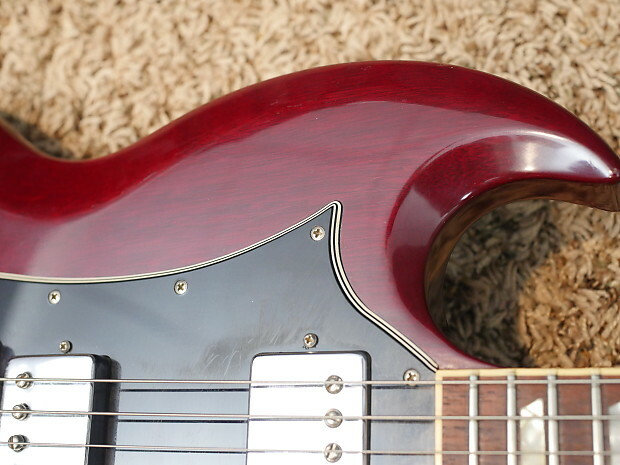 I'm not that motivated to sell this guitar - it's too much fun! I will ship with tracking to the listed regions. 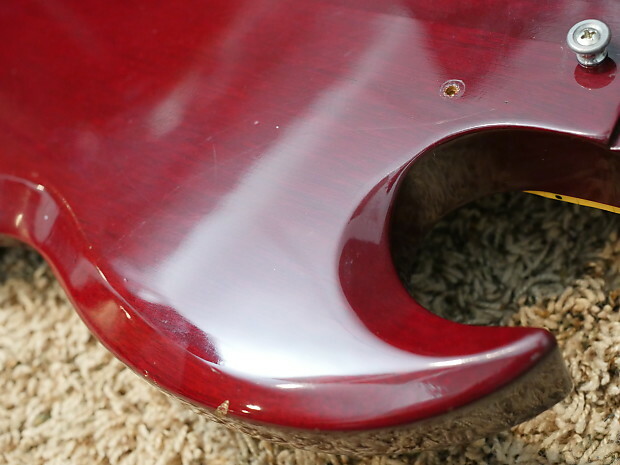 To negotiate shipping rates to other locations, please send me a message and I will be happy to look into it for you.